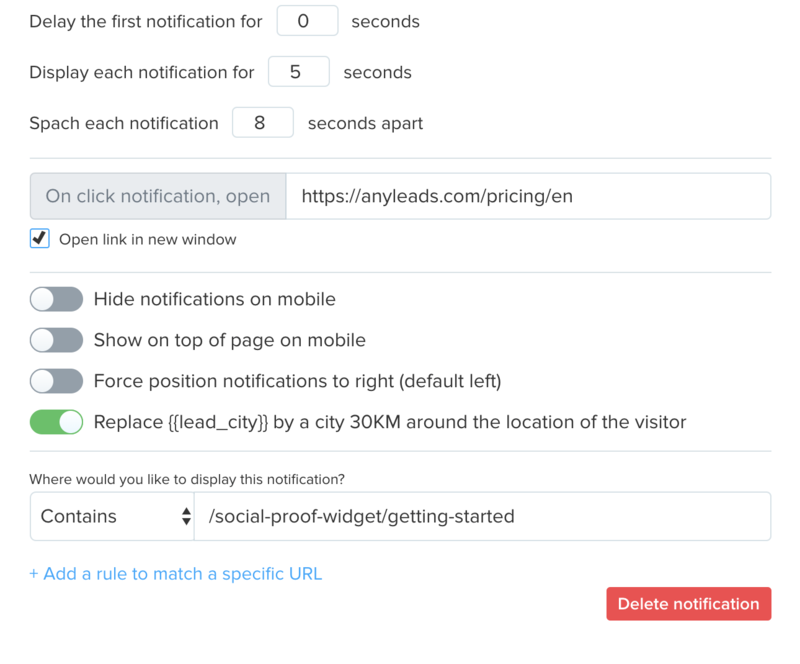 Social proof widget - Custom it! 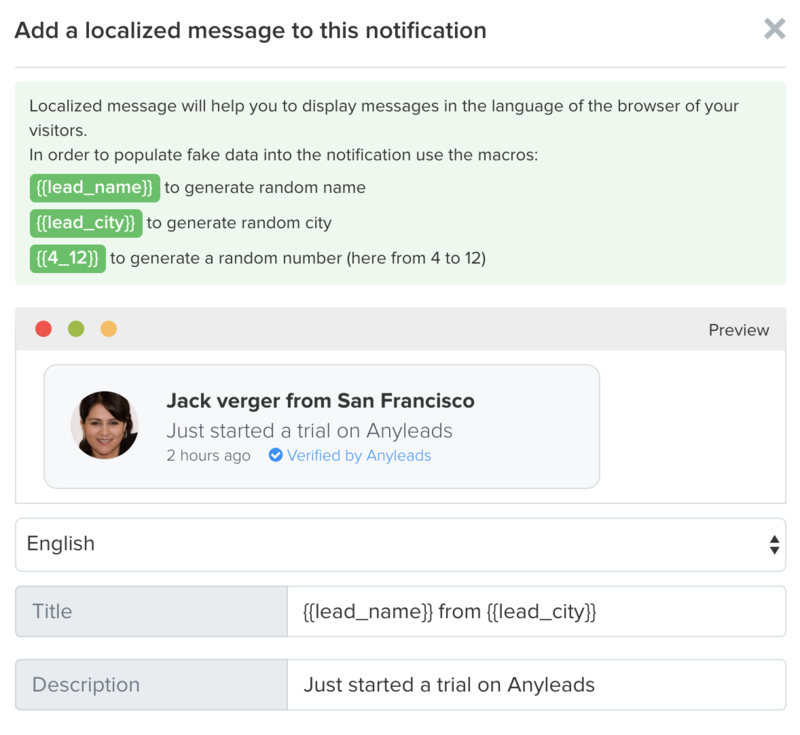 With the Anyleads social proof widget, you are able to customize the position, the message and the page where to display the notifications. Add as many as you want notifications to display, we will automatically rotate them. Our technology will automatically detect the language of the browser of the visitor and display notification in his language.